If you are concerned about the safety of a child, act! 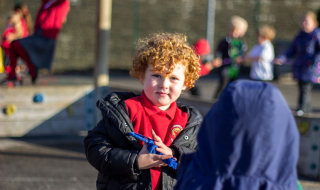 Oxenhope Church of England Primary School is committed to safeguarding and promoting the welfare of children and expects all staff and volunteers to share this commitment. We have a Safeguarding and Child Protection Policy in place which contributes to our safeguarding commitment. This can be viewed in the Key Info section of our website under General Policies.